John on the radio again! 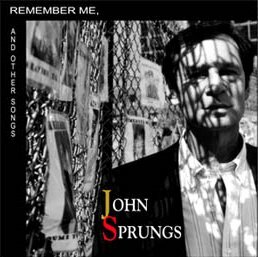 On Saturday, July 29th, John’s song, “The Glory of Their Times,” was featured on Oscar Brand’s “Folksong Festival,” on WNYC in New York. The Folksong Festival is now in its 61st consecutive year on the air, hosted by the forever young Oscar Brand. Oscar had chosen a series of what he called “goodies,” songs of which he’s especially fond. On this particular program, Oscar played songs by, among others, The Union Boys (Pete Seeger, Burl Ives, Josh White, Tom Glazer, Sonny Terry & Brownie McGhee) Leadbelly, Steve Free (singing “When the Leave are all Gone,” also, like John’s “Glory of Their Times,” from the “Fraternity Records 50th Anniversary” CD) and a couple by, of course, Oscar himself. As John put it, “Every folksinger from Woody Guthrie to the Weavers to Dylan has been on Oscar’s show, and every one who hasn’t wants to be. For me, having one of my songs played in such fine company on such a wonderful show, was something in which I took great pride.” The show can be heard on www.wnyc.org, by clicking onto Oscar Brand’s Folksong Festival, 7/29/06. Remember, the 50th Anniversary CD can be purchased from this website. You are currently browsing the archives for the John’s Music category.